MCWare IT Solutions provide IT Service Contracts to a wide range of clients across the globe. We have a vast knowledge in the areas of Database Design, VMWare, Telephone Systems and Server Technology. From Web Design to IT Service Contracts, MCWare IT Solutions can provide a service customised to your company's needs. Our staff are on hand to survey your company's IT system and make sure you are making the most out of what is available. We can provide a corporate-style IT support solution for small to medium sized companies.  The service is operated by Microsoft accredited specialists, and combines the use of IT infrastructure Library (ITIL) best practice together with ISO9001:2001 management processes to deliver a high quality of service. We can provide your business with a custom database that can achieve almost anything you could possibly need. Our team of developers will work closely with you to get to know the needs of your business, and develop a database that will increase your productivity thus saving you time and money. We can install phone systems that are up to the minute and future proof. Through a comprehensive suite of applications, desktop devices and platforms, we provide people with unprecedented ease of access, personalization and control over their business communications. Whatever your needs, MCWare IT Solutions have something that could help your business. Drop us a line and we can arrange a consultation to go over your options. We believe that our customers deserve a service that is custom to them, that is why we work you every step of the way, no matter what service we are providing you. You know your business better than we do, so we will work closely with you to provide a service that is exactly what you want, if you aren't happy then neither are we. The support and advice that MCWare IT Solutions has given Howard's in creating the website has been beyond expectation. Nothing has been over looked, and every question answered to the highest standard. The simplicity and effectiveness of Howard's website has been commended by many of our customers and suppliers.